The UGent Business Game is a business competition for all students of Ghent University. We invite you to “de Oude Vismijn” to assemble a team of 4 students and challenge yourselves during multiple business cases from top-notch companies. Improve your out-of-the-box thinking skills, enhance your teamwork performance and learn from the best. The competition consists of three rounds. During the first and second round, the challenges are provided by Delaware and Procter & Gamble. The top 10 teams move on to the finale and get to work on a business case from McKinsey & Company. They pitch their ideas and solutions to a jury to win first place. The most creative team will take home the creativity reward. Of course, all participants benefit from a fun and incredible learning experience. The second edition will be even bigger and better due to a collaboration between the Faculteit Economie en Bedrijfskunde UGent, de Vlaamse Economische Kring (VEK) and de Vlaamse Technisch Kring (VTK Gent) together with some amazing companies. 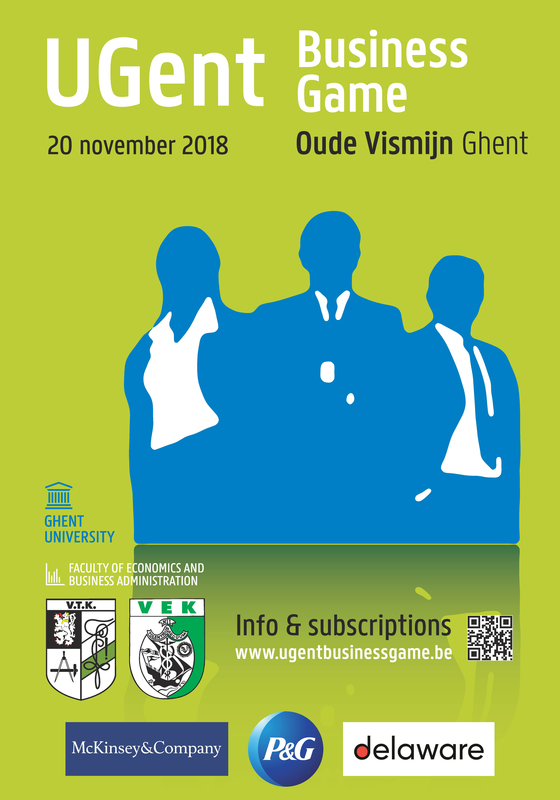 Are you the next winner of the UGent Business Game? Don’t miss out and register your team! Register from the 3th of November at 12am via www.ugentbusinessgame.be. After your group is registered you will receive an email on the 13th of November if your team is selected. To participate in the UGent Business Game each group pays a fee of €20 at the entrance the 20th of November.